The journey down from Scotland to Buckinghamshire seemed to be taking forever. By the time they had made it only as far south as Lancashire, Hunter Bentley had taken the decision that each stop ought to last two nights in order to rest his horses properly. And yet, even though the decision was his and his alone, Hunter could not help feeling as if the world was holding him back somehow, keeping him from Addison Hall and his life and his love. Hunter had spent the last six months staying in a much-neglected family property just outside Edinburgh. It was a private residence, not forming part of the great estate of Addison, and one which had not been lived in since Hunter’s father had been but a young boy who had stayed there with his maternal grandparents. William and Rosemary Moss had had but one child, a daughter, who had grown into a great beauty and, following a single meeting with Hunter’s grandfather, had been courted for marriage. Without sons, the home of William and Rosemary Moss had fallen into a genteel decline when they had departed the world, and their daughter had lived happily in England as the Countess of Addison. However, Hunter’s father had never forgotten the time he’d spent in the home of his mother as a child. With his own father much away at court in those days, he and his mother had often travelled to Edinburgh, and he had spent many of his summers in the beautiful little village just outside. “As you know, Hunter, I do not have much time left.” His father had raised the subject in as plain a fashion as he had raised every subject for as long as Hunter could remember. The old Earl was a matter-of-fact sort of man, very plainspoken, and Hunter had always attributed it to his maternal Scottish roots. “Father, I wish you would not speak so. Just because the physician tells you such does not make it a fact.” Hunter could not bear to even think about his father’s passing, never mind speak about it. But Harrington Bentley had been ill for so long that there really could be no denying it. Hunter knew, of course, that their trusted old physician was right in what he said; Harrington Bentley did not have long, a matter of months at most. It had seemed to Hunter that in no time at all his father’s face had grown as grey as his hair, and his mighty frame had been diminished, lain waste by the dreadful disease which seemed to be almost devouring him. “Father, I would do anything that you wish me to do; I would even listen to all of this and act as if I believe it,” Hunter said but knew that his words were nothing more than the lines of an actor spoken in the middle of the play. He knew his father spoke the truth. “Home?” Hunter had been momentarily confused and looked about the great drawing room of Addison Hall where his father had been propped up comfortably in an armchair, surrounded by soft pillows and wrapped in many warm blankets. “But Father, it is such a great distance,” Hunter said, his mind reeling as he wondered quite how he would get his father from the south of England all the way up to Edinburgh. “Then I shall find some way to arrange it, Father.” Hunter had felt desolate at that moment. Hunter had received written word from the housekeepers of Rosecleer Manor that the place would certainly be fit and ready for the Earl of Addison and his son by the time they arrived. In the end, the party had set off for Scotland less than two weeks after his father’s initial and somewhat surprising request. Hunter and his father had travelled in relative comfort in their carriage, with the few staff they were taking with them travelling separately in another. Much apart from making his father any worse, the journey itself and the idea that he would soon be in the place he had once thought of as home seemed to fortify him somehow. In fact, it fortified him so much that Hunter nursed a secret hope that the physician had been wrong after all. Perhaps all his father had needed had been a change in surroundings and some good Scottish air. However, within days of settling in at Rosecleer Manor, it quickly became obvious that this was not the case. The effects of the excitement of their excursion had simply been a temporary tonic to the man who was, Hunter knew, fading fast. For himself, Hunter had found much sympathy with his father for his curiously fond feelings for the rundown manor house. The house itself, although large, was nothing in comparison to Addison Hall, the home in which Hunter had spent most of his life. However, Rosecleer Manor seemed to be a house of many nooks and crannies, of hidey-holes and secret spaces; perfect for a young boy whiling away his summers. Hunter found that he was easily able to imagine his father there running through the corridors and finding much amusement in the old and forgotten things which had been tucked away by many generations of the Moss family in the vast attics. “Tell me, have you enjoyed your time here?” his father said at the start of their sixth month at Rosecleer. “Very much, Father,” Hunter said, although not entirely truthfully. Whilst it had been a great honour to help his father fulfil his dying wishes, it had been a most bittersweet time for Hunter Bentley. And not only had he suffered the sadness of watching his father grow ever thinner and ever greyer, he had suffered a good deal of uncertainty of his own. Felicity’s letters seemed to have grown shorter and shorter, and the time between the arrival of each one seemed to grow larger and larger. The last of her letters had been a brief yet perfect account of an afternoon buffet at the home of one of her friends. There was nothing in her letter about Felicity herself, and nothing to say that she missed him at all. Worse still, that letter had arrived more than six weeks beforehand and, despite numerous missives of his own, it seemed that Felicity was not inclined to respond any further. He had known, of course, that Felicity was far from pleased when he had told her of his plans for his father’s final weeks. They had argued a little when Hunter had suggested that her annoyance seemed somewhat selfish. After all, it was to be no more than a few weeks, and it was not just for Harrington Bentley’s sake alone. Hunter needed time and space to say goodbye to his excellent father, and he had wished at the time that Felicity could have understood. However, by the time he and his father had set off for Edinburgh, the argument seemed to be done between them, and she had kissed him goodbye with watery eyes and heartfelt demands that he must write to her every day, if not twice. Not a day had gone past when he hadn’t thought of her; her pale blonde hair the colour of straw and her eyes so blue that even the sky of a summer’s day could not compete. Felicity was the most beautiful woman Hunter had ever known and, at three and twenty years, she was certainly ready to marry. Hunter had courted her since she had been one and twenty and had assumed that they would soon be married. It had been a very long time since each had declared their love for the other, and it had only been the gap of almost ten years in their ages which had made Hunter a little reticent. He had known many young ladies over the years, and he saw how quickly their affections changed when they were still full young. 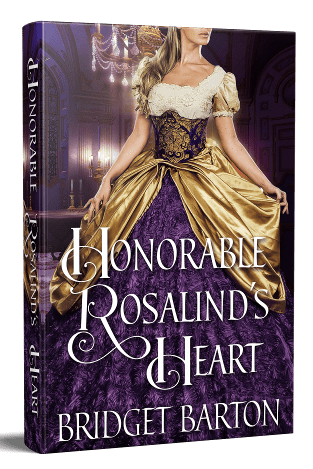 As keen as he had been to make the beautiful only daughter of the Earl of Walney his wife, Hunter had wanted to be sure that the much sought-after young woman was absolutely decided upon him and him alone. As each day passed without a letter, Hunter began to regret his thoughtfulness in that regard. He had begun to wish that he had simply proposed to her within their first year and married soon after, making her his irrefutably. But surely Felicity had been true to him, despite the fact that they had made no public announcement of their intentions. Hunter had never considered a need to do such a thing, believing the bond between them to be strong, and the need for such pronouncements unnecessary. Surely they were going to marry; surely that was something that they had both understood. “I think it will not be long before you see her again.” His father had broken across his reverie as if he were reading his mind. “No, but I believe she has been in London for a good deal of the Season and so will have been busy,” Hunter spoke without any conviction whatsoever. “I am sure that is so, my boy.” It had been many days since Harrington Bentley had been able to sit in the small and cozy drawing room at Rosecleer Manor. He had been confined to his bed after a fit of coughing had made him so exhausted he could no longer sit up. And it seemed to Hunter that the longer his father kept to his bed, the less likely that he would ever take his armchair in the drawing room again. “But you will be pleased to get home again,” his father said with a smile. “I am content.” It was all that Hunter could say. Inasmuch as he did want to return home to Addison Hall and find out exactly what had gone wrong between him and Felicity, he knew that his return could only mean one thing; that his father had died. And it was with great sadness that, just two days later, Hunter found himself standing outside the manor house and watching as his valet and the other staff loaded the wooden trunks back onto the carriages; the wooden trunks they had offloaded just six months before. Another carriage had already been dispatched, the carriage which carried the body of his father back home. Hunter could not help thinking of his father’s words when they had first talked of spending those final months in Scotland. I am afraid you would make the return journey alone. And Hunter had felt alone, terribly alone, for every one of the many days he had spent either on the road or kicking his heels in an unknown town as his horses were well rested. Although their stay at Rosecleer Manor had helped him come to terms with the fact that his father was, very soon, going to die, when it had finally come, it had still seemed to Hunter to be a most terrible shock. It was a shock in the way that the death of his dear mother so many years before had not been. But of course, Hunter had been so young then, and the young always accommodated such things with an ease that grown men could never find. When finally his carriage drew up to the great gravel apron at the front of Addison Hall, Hunter felt his throat tighten painfully. Tears had welled in his eyes, and he knew that his worst pain was yet to come. He had to walk back into Addison Hall as its new Earl, knowing that his father’s voice would never be heard in those great corridors again. As his servants began to bustle about the carriage, hurriedly going about the business of emptying it and settling themselves back into their working lives at the Hall, Hunter simply sat and stared out of the window at the immaculate lawns. He was the master of it all now, and yet it seemed to mean nothing to him. He knew that he would have given anything to have remained the son of the Earl the rest of his life. Hunter’s attention was drawn to some movement at the front of the hall when he saw the great door opening inwards. For a moment, there was a tiny frisson of joy when he realized that it was very likely Lady Felicity Morgan waiting for him. He had written to her, of course, to let her know that the worst had happened, and he was now ready to return home. She had not written back, although he had assumed that to be because her letter would pass him on the road home, and he would never see it. Hunter jumped down from the carriage and swallowed hard, clearing the tightness and pain in his throat. If anybody could make it right again, it would be Felicity. He would marry her as soon as she would agree to it, and they would be the Earl and Countess of Addison, living out life happily in the home his father had bequeathed him. Hunter strode purposefully towards the door, racing up the stone steps, taking them two at a time. However, before he was but halfway up, he could see that his visitor was not Felicity, but his cousin, Algernon Rochester. “I really am most terribly sorry, my dear fellow,” Algernon said, placing a heavy and comforting arm around Hunter’s shoulders the moment he was inside. “I thank you, Algernon,” Hunter said somberly. “Your journey was long?” Algernon went on, but Hunter found himself suddenly impatient for news of Felicity. “Too long,” he said with a nod. “Felicity?” he said, hoping that the single word was question enough as he raised his eyebrows and looked into the kindly face of his closest living relative. And it really did feel like a new beginning after all the sorrow of the last weeks. Her father had died three months before, and now that she was only in half-mourning, she was able to partake of society again fully and no longer wore black, as her poor mother still did. Although Emmeline had received visitors throughout the first three months and even gone out for tea in the home of her friend and that of the young man she was courting, the garden party was to be her first social event since she, her mother, and her sister had laid her father to rest. “Another part of our accepted ways which we shall not celebrate, my dear,” Clara said and looked a little uncomfortable. Quite why Clara Lovett should look uncomfortable, Emmeline could not begin to imagine. After all, they had been friends for a number of years, and Clara knew well of the circumstances of Emmeline and her family. Try as they might, Charles and Constance Fitzgerald had never been able to produce a son. If they had, then the last years might not have been tainted with so much worry. Their small estate of Tarlton Manor would have been safe, and the fate of Constance and her two daughters not quite so uncertain. “Yes, but you are still to lose Tarlton, whatever happens,” Clara said quietly. “Indeed,” Clara said and seemed to look more uncomfortable still. “And you are quite sure you are to marry?” Clara said cautiously. “Of course,” Emmeline said and laughed. “I know it is not announced, but Christopher and I have spoken of it many times. Even before my father was ill, Christopher and I were destined to be together. It is not simply a marriage of convenience, but it shall be one of great love.” Emmeline smiled when she thought of Christopher. 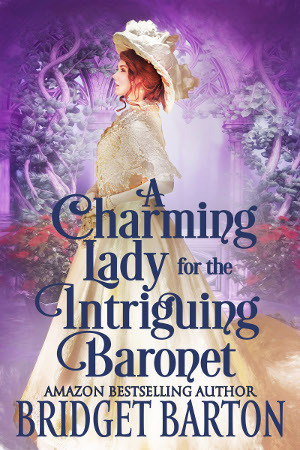 Christopher Lennox, the wealthy young man who had courted her for almost two years, was just about the most handsome man Emmeline had ever seen. He was tall and nicely shaped, with brown hair which tended to look a little red in the sunshine, almost the colour of fox fur. And his eyes were pale blue and large and looked so well against the pale skin of his face. But when she thought of him, Emmeline thought only of the good. Surely there was only good, after all. And yet she knew that there was something else; something which she knew was there but did not look at, almost as if she were a young child fearing to open her eyes in the darkness in case she saw a ghost standing at the foot of her bed. Emmeline did not know what it was, nor even if it was really there, and yet she felt sure that something, something tiny and intangible, had changed. But she could not look at it, and she most certainly would not speak of it. “It is just that, as you say, there has never been anything spoken. Christopher has never announced his intention to marry you, and surely time is running short,” Clara still spoke cautiously, her large eyes peering out from beneath a great cloud of golden ringlets. “I have no reason to doubt him, Clara,” Emmeline said feeling a little annoyed. She felt sure that she was overreacting, not to mention a little guilty that she had snapped at her dearest friend. After all, Clara was looking out for her, asking the questions which needed to be asked. It was not Clara’s fault that Emmeline had silent and secret fears of her own, fears she had not even formulated into proper thoughts. “Of course you do not, please do forgive me,” Clara said immediately, her pale skin turning a bright pink. “But you are engaged? Between yourselves, I mean, you and Christopher are engaged to be married?” Clara seemed to be ploughing on regardless of the fact that her own words made her obviously uncomfortable. “Yes, of course, we are,” Emmeline said, although she could hear the uncertainty in her tone and knew well that Clara would not have missed it. After all, had they ever really discussed marriage? Had she just assumed all this time that Christopher Lennox intended to marry her? If only she could stop the doubts which began to fly around her own mind. But they had talked about marriage and about a time when they would be married, Emmeline knew that much. They had discussed their lives and the children that they would have; of course, he meant to marry her, of course, he did! But why was there that dreadful sense of doubt? And why had it grown so suddenly after the death of her father? Christopher Lennox had been, of course, most kind and attentive throughout the period of full mourning. He had called upon her and her mother and sister at home at least twice a week and, when she had expressed a desire to come out of the house, he had sent his own carriage to collect her so that she might attend Christopher and his family for afternoon tea. Not only had he been most attentive, but surely he knew that time was of the essence. Surely he knew that he would need to marry her at some point within the next six months to spare her, her mother, and sister from the most dreadfully poor lodgings. The Tarlton Manor estate had been in the Fitzgerald family for many generations, passing from father to son again and again. At some point in distant history, the estate had passed to a cousin when no direct male heir had been apparent. Now, once again, history was due to repeat itself. This time, in want of any direct male heir, Tarlton Manor was to be passed to the son of her father’s cousin, a young man that Emmeline and her family barely knew. Kent Fitzgerald. That particular branch of the Fitzgerald family had decamped to the Midlands many years before, and there they had remained in a most determined middle-class obscurity. Charles Fitzgerald and his cousin had not been particularly close, only meeting with each other a handful of times in their lifetime. And as for Kent Fitzgerald himself, it had been clear when Emmeline had first met him that he had been long aware that he would eventually become the master of Tarlton Manor. No doubt he and his family had spoken of it many times over the years as they had silently waited for news that Charles Fitzgerald had produced a son. Emmeline could not help thinking that when that news had never come, that family must have rejoiced, safe in the knowledge that their fortunes would be elevated the moment that those of the Fitzgerald women of Tarlton Manor had been crushed. Her father’s cousin had died some months before her own dear father and, when the time for her father’s funeral had come, Kent Fitzgerald had been the only mourner from his branch of the family. Of course, to call him a mourner was indeed a great stretch, for he had seemed unable to hide his pleasure as he had looked around Tarlton Manor before the family had made their way to the small church and then to the family plot where Charles Fitzgerald was to be laid to rest finally. Emmeline had discussed every bit of it with Christopher Lennox, and he had seen with his own eyes the young man who had looked greedily around the estate, imagining all the pickings that were to be his when the nine-month period of grace was over. “Have you discussed it with him at all these last weeks?” Clara spoke again although she seemed a little more at her ease this time. “I wonder if you did not ought to keep your horizons a little broader, my dear,” Clara said as she rose to her feet and made her way across the room to her friend. With great care, she re-pinned a glossy chocolate brown curl of Emmeline’s hair which had escaped from its fastenings. “There, that is better,” she said and smiled. “Thank you.” Emmeline turned back to the mirror and could see how her friend’s intervention had very much improved the appearance of her hair. “Clara, do you mean that I should look elsewhere to marry?” Emmeline did not turn to look back at her friend but spoke at her own reflection, almost as if she were having the conversation with herself. 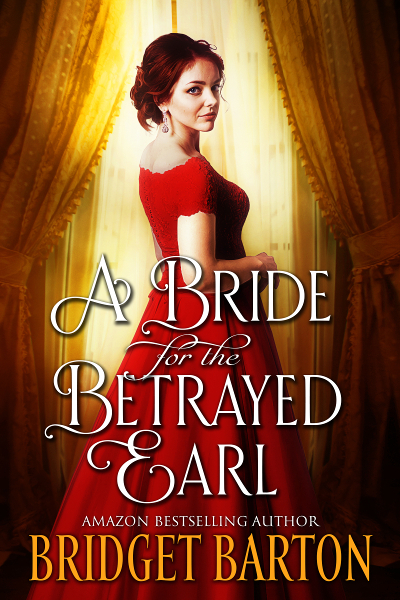 “A Bride for the Betrayed Earl” is an Amazon Best-Selling novel, check it out here! When Hunter Bentley, the Earl of Addison, returns from Scotland, it is to find that the love of his life has married another. On a mission of mercy to see his beloved father through his final days in the country he loved, Hunter is unaware that the woman he was set to marry, feeling neglected by his absence, has accepted a proposal of marriage from the Duke of Galcross. Still, Lady Felicity Morgan was always a little spoiled and a little ambitious. Weeks later, Emmeline Fitzgerald suffers the worst humiliation of her life. Just months after the death of her beloved father, the man she is set to marry publicly announces his engagement to another. Feeling all eyes on her, Emmeline almost turns to run, but her dignity is saved by none other than the Earl of Addison. Within days the Earl, a man she barely knows, makes her a most unusual proposal; a marriage of convenience. He is looking for a wife so that he might produce an heir to his title and estate. She needs a husband of means to save her, her mother, and sister from financial ruin when her second cousin, Kent Fitzgerald, finally inherits her father’s estate some months after his passing. Finding they have more in common than they could have imagined, can Hunter and Emmeline find the path to true love? Or will the constant interference from Felicity and Kent Fitzgerald drive a wedge between them? “A Bride for the Betrayed Earl” is a historical romance novel of approximately 70,000 words. No cheating, no cliffhangers, and a guaranteed happily ever after. Get your copy from Amazon!